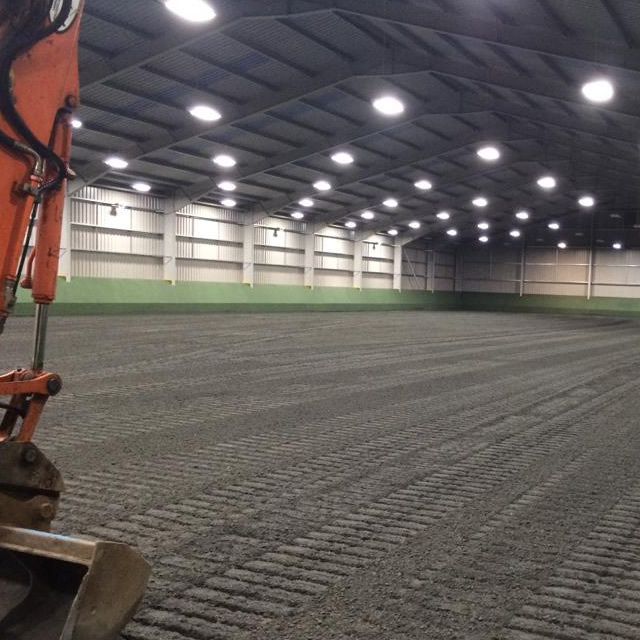 CM Steel Buildings were appointed as main contractor to provide a 91.5m long by 30m wide equestrian arena. The facility benefits from a further 5m wide lean-to running the full 91.5m length to provide function and judging environments. The building was constructed of a hot rolled steel frame with single skin roof and wall cladding with an integrated 1.5m high concrete panel system around the perimeter. 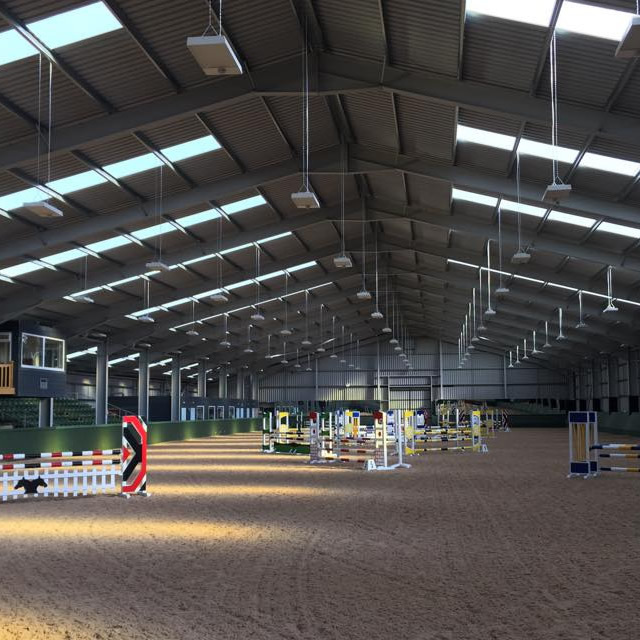 The building complemented an already thriving business with an external arena, cross country and livery facilities.